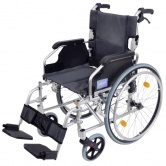 In this section you will find our Self Propelled Wheelchairs, these are chairs with hand rims around the wheels so a user can move themselves along, however people can still push the person along if needed. 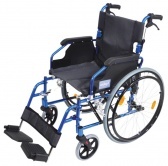 Some of our wheelchairs will also allow for the rear wheels to be removed this will help with transporting the chair from one place to another, all wheelchairs will have detachable footrests. 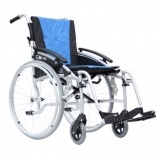 A choice of colours with some chairs is also available and of course you have a great selection of Wheelchair Cushions to choose from to accompany your chair to get the perfect level of comfort. 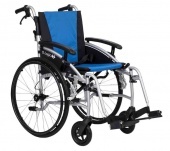 The Excel Globetraveller Self Propelled Ultra Lightweight Wheelchair has an ultra compact frame making it the perfect wheelchair for frequent travel. 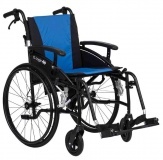 Excel G logic Self Propelled Wheelchair Blue and Black Seat, a compact wheelchair in an stylish black frame. Excel G Logic Self Propelled Wheelchair, comes with an attractive Brown seat and stylish Black frame. 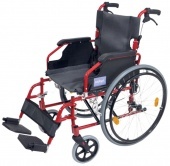 Excel G-Logic wheelchairs rear wheels are fitted with Quick release pins, which means they can be removed in seconds making the Chair extremely easy to transport. With the best manufacturers of Lightweight Self Propelled Wheelchairs products shown above you will get at least 12 months manufacturers warranty with some giving 10 years on the frame, a range of Lightweight Self Propelled Wheelchairs colours and fast delivery on all models. 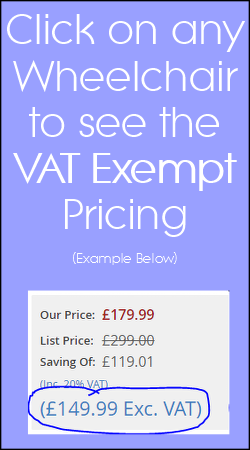 Saving you money and providing the best Lightweight Self Propelled wheelchairs is our aim.